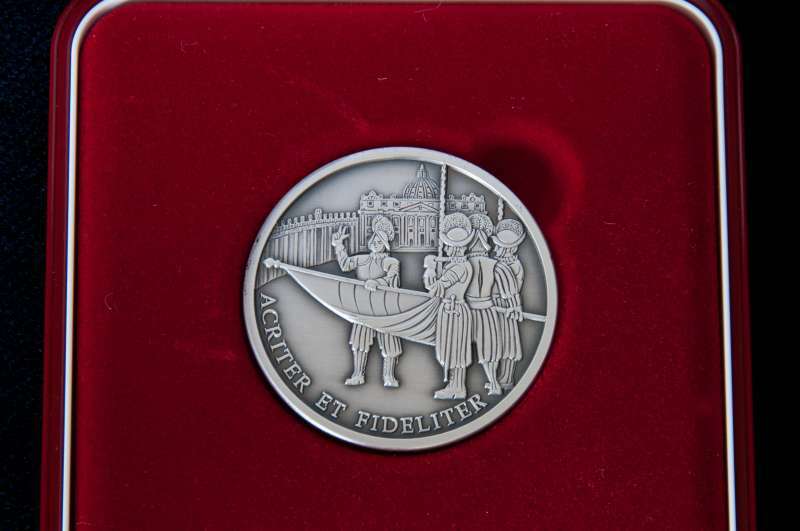 The Swiss Guard celebrated its 500th anniversary in 2006, and this is a souvenir medaglia in ottone argentato e satinato: a silvered brass medal with a satin finish. 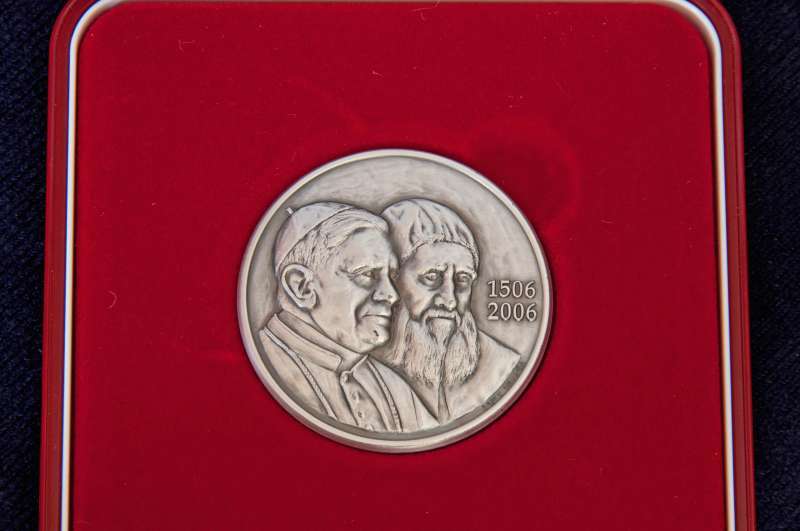 Images of Pope Julius II and Pope Benedict XVI adorn the front of the medal. It was Julius who was pursuing military solutions to a host of problems who first employed them to supplement the existing papal army. It is he who first established a permanent corp of soldiers–the Pontifical Swiss Guard. The other image is of Pope Benedict XVI, the reigning Pontiff at the time of their centenary. The back of the medal depicts the Swiss Guard in the Piazzo of Saint Peter’s. The medal is inscribed with the motto of the Corp, ACRITER ET FIDELITER (Brave & Faithful).